What to do to differentiate your Ecommerce Business? Just imagine that you could be able to sell your products or services online at very good prices, and also have your customers be excited to pay the amount whatever you charge for your products or services. This sounds good! Yes, it is utterly possible if you use proper methods and strategies in your e-commerce business. One of the best ways to separate yourself from your competitors is through absolutely exceptional customer service. Offering an outstanding and unique customer service is easier said than done. As an e-commerce business owner, you have to analyze and decide on what would appeal to your customer base. It could be quick delivery, packaging, and may be shipping options. Find out the unique ways of serving your customers in a better manner, and stand out from your competitors. Personalization and customization are the most popular aspects in e-commerce business. Personalization involves modifying your e-commerce website to suit your customer’s preferences by using cookies. For example, if a customer is buying a product from your website, you need to list out the similar products of interest on your homepage when the next time the customer login. On the other hand, customization helps you to empower the users by providing them tailor-made solutions based on their requirements. Enrich the user experience when the users come to your e-commerce website for buying your products or services. Creating a memorable and exciting experience for the users not only brings satisfaction to them, but also guarantees repeat business. Even for first-time visitors of your website, the novelty of the user experience immediately sparks their interest, draws them into your online store, and keeps them do more online purchases from your website. 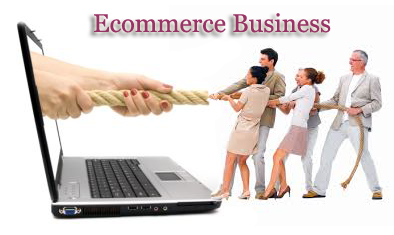 Harnessing technology and social media into your e-commerce business is very important to beat your competitors. If you are innovative, you can always harness the latest available technologies and integrate them into your e-commerce website to grow your online business. On the other hand, given that social media, such as Facebook, Twitter, Google +, LinkedIn and so on, has turned out to be a tidal wave, hence it is mandatory to accord it a special place in your e-commerce strategy. Offering attractive or competitive price is obviously one of the best ways to attract more customers. You can sell your products or services at lower prices as compared to your competitors by following various options such as managing to source your products or services at affordable prices, or being able to cut down or reduce the shipping expenses, etc. Indeed, lower price can be a formidable competitive advantage. So, price is undeniably considered as a strong way of differentiating your e-commerce website. Offering a guarantee on your products or services shows your customers that you are assuming the risk, because your customer satisfaction is your primary concern. Apart from providing best customer service and amazing user experience, you can put your customers at ease with a splendid guarantee. Offering guarantee speaks volumes about your e-commerce business, and how firmly your business stands behind your products or services. Ecommerce is obviously a promising realm of opportunities for ambitious business owners, and the only way to outdo the competition is by daring to be absolutely different. Apart from the above mentioned strategies, there are also some other strategies available to differentiate your e-commerce business, and also it all depends on your ground-breaking and passionate approach. Author K2B SolutionsPosted on March 31, 2014 Categories eCommerce Website DesignTags ecommerce business ideas, ecommerce business model, ecommerce business plan, ecommerce website builder, online business ideas, online ecommerce business, what is ecommerce businessLeave a comment on What to do to differentiate your Ecommerce Business? What you need to do to make your e-commerce website mobile-friendly? You have an e-commerce website for your online business. Well done. But, is it mobile-friendly? If no, then that may be the main reason why your website is not preferred by most users for shopping. Because, in the recent past days, more and more people are turning to their handheld devices like mobile phones and tablets to access the web. So, it is important that your e-commerce website must not only be user-friendly but also be mobile-friendly. Furthermore, the web design must be conductive in order to make the e-commerce portion of the website navigation-friendly, i.e., easily accessible for users. Always keep in mind that the users may not have enough patience and also may easily get frustrated. So, make sure that the users must stay on your e-commerce website, and they can able to complete the purchase or transaction in a timely manner. So, are you ready to make your e-commerce website mobile-friendly? If yes, here are the three ways to go about achieving your goal. Keep everything simple: Never make the navigational system overly confusing; always make it simple and easy. Ensure that the users can able to view a clear and concise navigational path towards buying your products or services. Once your e-commerce mobile website is developed, imagine that you have never used the website and look out the website at your customer’s perspective. Then customize your website to meet all your customer’s requirements. Always make your website simple, fast and easy, and also make your navigational links obvious. If everything in your e-commerce website is concise, quick and smooth, then the number of purchasers using your site will be increased, which in turn increases your retention rate and profits. Make your e-commerce website responsive: A responsive web design is an approach in which the information from a website is converted to fit different types of devices such as mobile phones and tablets. To provide an optimal viewing experience to your users, make your e-commerce website responsive. When your website is responsive, it makes it much simpler for the users to access what they need from your website. The most important things, such as products, services and the e-commerce portion, have to pop right out at the customer, allowing them to have a quick and on the go access to the mobile commerce portion, and hence successfully complete their purchases. Use WordPress to build your website: WordPress is an open source blogging tool that provides a huge variety of plug-ins and enables you to build an effective mobile-friendly websites easily. For example, WP touch is one of the plug-ins that will make your e-commerce website mobile-friendly and accessible. That is, this plug-in allows the users to see a mobile version of your e-commerce website on their mobile phones. In case, if you don’t have WordPress, then you can still use other ways to make your e-commerce website mobile-friendly. 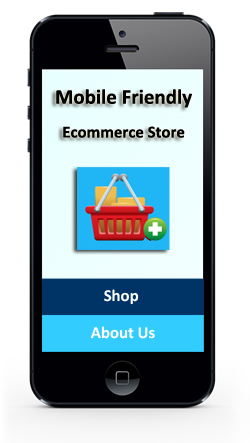 So many methods and approaches are available to make an e-commerce website mobile-friendly. So, choose a best one for your e-commerce site to achieve what you need. At K2B Solutions, our expert web design and development team can help to make your e-commerce website more mobile-friendly for your users. We set up WordPress through your e-commerce website to make the entire process simple. Also, we make the navigational links simpler and concise, and thus make your e-commerce website responsive, which can help retain your customers and maximize profits for your online business. Author K2B SolutionsPosted on March 19, 2014 Categories eCommerce Website DesignTags ecommerce mobile website, ecommerce web design, ecommerce website builder, how to make website mobile friendly, make your site mobile friendly, mobile ecommerce website, mobile website design, responsive web designLeave a comment on What you need to do to make your e-commerce website mobile-friendly? K2B Solutions Blog at WordPress.com.